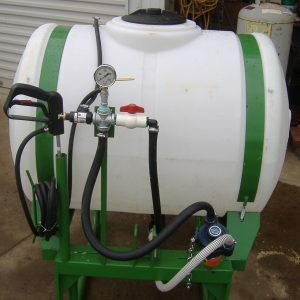 Our custom sprayers are manufactured in Tennessee. 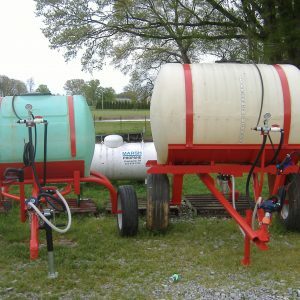 We offer offer our sprayers in three sizes: 55, 110, 300 gallons. 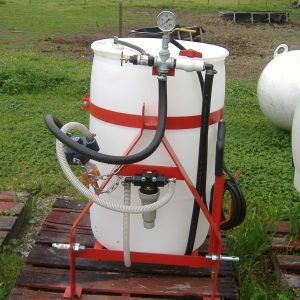 Each one contains roller pump boomless tip, sprays 36′.